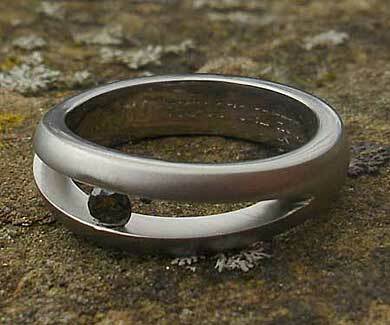 Unique Black Diamond Titanium Engagement Ring : LOVE2HAVE in the UK! 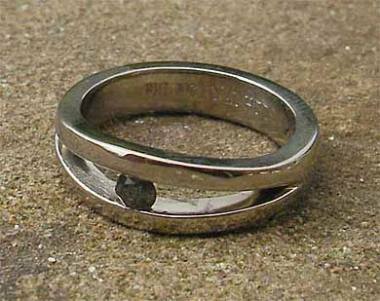 A tension set diamond titanium engagement ring with a unique split-style band tension setting. 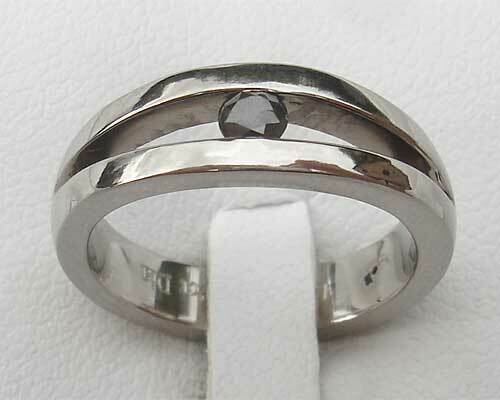 The ring comes in a polished finish, but a satin finish is also available too. Please state the finish you require into the comments box at check out. The 0.8pt stone is a black diamond (0.04pt also available - please email for details) and the rings widest point measures 6mm across. It also has a slightly domed profile. This ring would make a unique contemporary engagement ring as it is very different from anything else featured on our website. Titanium is the only choice of metal for tension setting diamonds due to its high strength. Precious stone(s) Available: 1 x 0.4pt black diamond or 1 x 0.8pt black diamond.